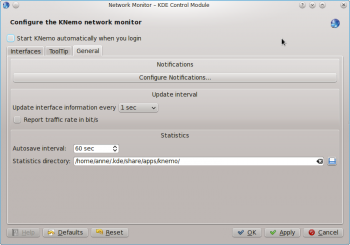 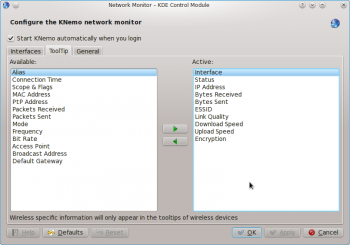 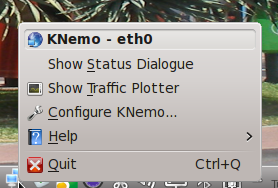 KNemo is highly configurable, and can monitor as many connections as you have active. 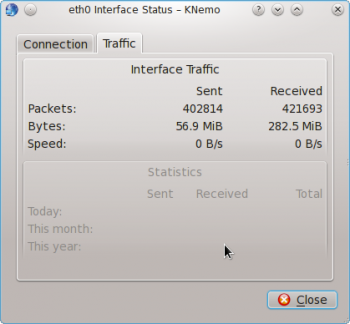 This page was last modified on 22 June 2011, at 09:36. 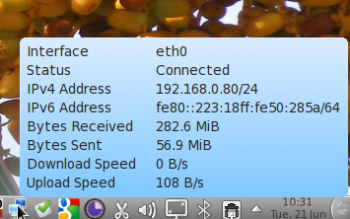 Content is available under Creative Commons License SA 4.0 unless otherwise noted.